Duncan E.J. Currie LL.B. (Hons.) LL.M. The Arctic is warming nearly twice as rapidly as the rest of the globe, with average Arctic temperatures rising at almost twice the rate of the rest of the world in the past few decades, according to the final report of the Arctic Climate Impact Assessment, a four-year study conducted by hundreds of scientists. Average winter temperatures have increased as much as 3-4°C in the past 50 years in Alaska, Western Canada, and Eastern Russia; and the Arctic region is projected to warm an additional 4-7°C by 2100. The average sea-ice extent has decreased by 8% over the last 30 years, and the melting trend is accelerating. Sea-ice extent in late summer has declined even more, with a loss of between 15 and 20%. Arctic sea-ice has also become 10-15% thinner overall, and some areas have shown reductions of up to 40%. The assessment projects that at least half the summer sea ice in the Arctic will melt by the end of this century, along with a significant portion of the Greenland Ice Sheet. These changes threaten the survival of some arctic animal species such as polar bears, walrus, ice-living seals and some marine birds, and pose challenges to the health, food security and culture of indigenous people. Reductions in sea-ice are also expected to open the area to marine transport, with transarctic shipping likely to become feasible during summer months within a few decades. However, the picture may be more complex than is commonly assumed, with increased climate variability causing varying ice conditions with the result that blockages or ‘ice bridges’ weaken, possibly causing flushing or movement of ice through channels and straits that have been clear of ice in summer time in the past. This, together with increased ice and iceberg movement, especially in the Northwest Passage, may increase hazards to navigation. Thus while the reduction in sea ice may make the Northwest Passage attractive to shippers wishing to reduce voyage times, it may paradoxically increase hazards. Since these hazards and changes have been brought about by climate change, the nature and extent of the hazards may be difficult to ascertain. The voyage of the Manhattan in 1969, discussed below on page 6, graphically demonstrated the hazards inherent in Arctic navigation. The reduced ice is also expected to facilitate access to resources in the region such as oil and gas. This has given rise to conflicts over access to waterways and ownership of resources in the Arctic, and could in turn give rise to oil spills in areas where cleanup is made considerably more difficult due to ice conditions and where oil spills in a cold ocean could last longer than in lower latitudes. It is also likely to give rise to sovereignty, security, safety and environmental issues as access to the area increases, placing stresses on the willingness of Arctic States to co-operate as much as they have done to date. The United States, Canada, Iceland, Greenland, Denmark, Norway and the Soviet Union all border the Arctic Sea. Despite the longstanding presence of the Inuit people, States have clashed over sovereignty in and access to the Arctic Ocean. Sovereignty over Greenland is exercised by Denmark and Greenlanders are viewed by the Danish government as an indigenous people within Denmark. Sovereignty is the right in international law to exercise State functions over a given territory to the exclusion of any other State. Even though some speculated the North Polar region could be occupied following Admiral Peary’s raising of the United States flag at the North Pole, it consists of ice, rather than land, and the practical reality is that the ice is continually shifting due to wind and currents, and may shift even more as climate change takes hold. Arctic ice cover has been thinning over large areas during the last twenty years, and there is sometimes open water at the North Pole. Impacts of climate change in the Arctic detailed in the Arctic Climate Impacts Assessment were discussed earlier. It is clear that no State has political sovereignty over the North Pole. The North Pole itself merely a point at which the lines of longitude converge at the northern axis of the earth, and where the ice pack is always moving. Canada’s claim to Arctic islands north of Canada should not be confused with a claim to the North Pole itself. However Canada has quite recently threatened to assert sovereignty over areas in Arctic Ocean: once in 2000 by threatening to prosecute a pilot for littering when a pilot was thought to be ready to abandon a plane near the North Pole (he eventually flew it out), and once when attempts were made to prosecute Inuits for allegedly murdering a member of the 1909 Peary expedition (but no prosecution eventuated, apparently due to jurisdictional uncertainties). Some of the States, including Canada, have claimed sovereignty on the so-called ‘sector principle’, claiming that land facing the Arctic gives sovereignty over territory to the north. However the principle is not a rule of law or a sound basis for territorial title, and finds little support in State practice. Canada’s claims to islands in the Canadian Arctic archipelago are likely to turn more on issues such as whether Canada is exercising authority. The Permanent Court of International Justice in a case involving EasternGreenland in the 1930s stated that in remote, inhospitable regions, an intention and will to act as sovereign and an actual exercise or display of authority was sufficient, and a relatively low standard of occupation has been required in several cases. Joseph Bernier, a Canadian explorer, claimed all the islands in the North American region of the Arctic for Canada during expeditions in 1908 and 1909. In a departure from the normal practice of drawing baselines from the low water mark, Canada has drawn straight baselines around its Arctic archipelago, claiming the waters within the baselines to be internal waters, and thus not subject to the right of innocent passage. Straight baselines mean that the waters within them are internal waters, and thus subject to the sovereignty of the coastal State, giving the State the right to prevent or control shipping which otherwise would have the right to innocent passage, in territorial waters or in international straits, or the freedom of navigation on the high seas. The International Court of Justice sanctioned straight baselines with respect to Norwegian fjords in a case between the United Kingdom and Norway in 1951. Since then, the Law of the Sea Convention has sanctioned straight baselines in some cases, such as where the coastline is deeply indented and cut into, or if there is a fringe of islands along the coast in its immediate vicinity. Canada is in dispute with Denmark over Hans Island, a 3 square kilometre rock uninhabited by humans, situated between in the Kennedy Channel between Greenland and Ellesmere Island. A group of Danish soldiers reportedly raised a flag on the island in 2002. Canada could view Hans Island as important, not only for shrimp and turbot fisheries but also for controlling the nearby waters as climate change takes hold and ice disappears. The Northwest Passage: Canada claims the Northwest Passage is inland waters, whereas the United States and other States claim right of transit passage. The Beaufort Sea: Canada and the United States dispute the maritime border between Alaska and the Yukon Territory, with Canada claiming a linear extension of the land border, and the United States drawing the border at right angles to the coast, giving rise to disputes over petroleum reserves in the region. The Northern Continental shelf: the United States, Canada and Russia could all make claims over the northern continental shelf. There are suggestions Canada could make a continental shelf claim over the North Pole towards Russia. Canada’s claim to the Lomonosov Ridge is discussed below. The legal status of the Arctic Ocean is determined by the international law of the sea, which is now largely codified by the 1982 UN Law of Sea Convention, which entered into force in 1994. The Arctic Ocean features internal sea waters, territorial seas, contiguous zones, exclusive economic zones, the high seas, the continental shelf, and seabed areas beyond the limits of the continental shelf. The main dispute centres on Canada’s claim that the waters in the Arctic Archipelago are internal waters and thus not subject to navigational rights, and in particular, on the Northwest Passage. Disputes over the Northwest Passage centre on whether there is a right of transit passage through the Northwest Passage. The Northwest Passage links the Pacific Ocean in the west with the Atlantic Ocean in the east, and promises a shorter passage between Europe and Asia than the Panama Canal or around Cape Horn. Norwegian Roald Amundsen was the first to navigate the passage by ship in Gjøa in 1905, taking three years to do so. In the early 1940s, the Canadian vessel RCMPV St Roch was the first vessel to transit the Northwest Passage in one season and through the northern deep water route, and was also the first to sail it in both directions. Canada denies the existence of right of passage through the Northwest Passage, but the United States claims a right of transit passage, on the basis that it is an international strait. The oil tanker SS Manhattan undertook a voyage for the oil companies which were to become Exxon and Arco in 1969, following the discovery of oil on Alaska’s North Slope and a debate about ways to transport the oil south. The Manhattan completed the voyage despite being repeatedly stuck in ice and suffering equipment failures, after having been freed from ice by a Canadian icebreaker. Responding to concerns about Canadian territorial interests in the Passage and about pollution from tankers following the difficulties experienced by the Manhattan, Canada introduced two bills in Parliament: one to enlarge the territorial sea to cover the Prince of Wales Strait through which the Manhattan sailed, and the other concerned maritime pollution. The Arctic Waters Pollution Prevention Act 1970 established a hundred mile arctic pollution control zone. To insure itself against claims with respect to that Act, Canada made a new reservation under the ICJStatute, to which the United States objected. Coastal States have the right to adopt and enforce non-discriminatory laws and regulations for the prevention, reduction and control of marine pollution from vessels in ice-covered areas within the limits of the exclusive economic zone, where particularly severe climatic conditions and the presence of ice covering such areas for most of the year create obstructions or exceptional hazards to navigation, and pollution of the marine environment could cause major harm to or irreversible disturbance of the ecological balance. Such laws and regulations shall have due regard to navigation and the protection and preservation of the marine environment based on the best available scientific evidence. It is unlikely that this provision will be sufficient to enable Canada to entirely prohibit tanker voyages through the Northwest Passage, even within an EEZ. Shipping States would undoubtedly argue that Canada’s rights are restricted to adopting and enforcing non-discriminatory laws and regulations for the prevention, reduction and control of marine pollution from vessels within the EEZ, rather than preventing navigation entirely. After the voyage of the U.S. Coast Guard icebreaker Polar Sea in 1985, and the release of a striking photograph of three nuclear submarines surfaced at the North Pole in May 1987,Canada and the United States reached a bilateral Agreement on Arctic Cooperation in 1988, whereby the United States pledged that all navigation by U.S. icebreakers within waters claimed by Canada to be internal will be undertaken with the consent of the Government of Canada. That agreement affirmed that navigation and resource development in the Arctic must not adversely affect the unique environment of the region and the well-being of its inhabitants. The right of transit passage applies to straits which are used for international navigation between one part of the high seas or an exclusive economic zone and another part of the high seas or an exclusive economic zone. It can be seen that the straits must be used for international navigation. Since the Northwest Passage has had very little traffic, the satisfaction of the usage criterion must be regarded as questionable, in comparison with the well known case on passage, the Corfu Channel case, where there were fewer than 3000 passages over less than two years. The Court in Corfu Channel held that the decisive criterion was the geographical situation as connecting two parts of the high seas and the fact of it being used for international navigation. So while geographical factors received considerable weight, actual use for navigation is required. Passage by nuclear submarines may serve to weaken Canada’s claim. In the territorial sea, submarines and other underwater vehicles are required to navigate on the surface and to show their flag. However, this provision is frequently breached. The Northeast Passage north of Russia is also claimed by some to give right to a right of navigation, but only few sailings have taken place. The Lomonosov Ridge is the major submarine ridge of the Arctic Ocean. The ridge is the highest undersea ridge in the world, and runs 1,800 km from a point near Ellesmere Island on the continental shelf of North America, north to a point near the North Pole and then continues south to a point near the continental shelf of the New Siberian Islands. It is named after the Russian author, grammarian, poet and scientist Mikhail Vasilyevich Lomonosov (1711-1765). A continental shelf gives the coastal State sovereign rights to explore the shelf and exploit its natural resources, and these rights do not depend on occupation, effective or notional, or on any express proclamation. These include the mineral and other non-living resources of the sea-bed and subsoil, and living organisms belonging to sedentary species. The rights of the coastal State over the continental shelf do not affect the legal status of the superjacent waters, and the exercise of the rights of the coastal State over the continental shelf must not infringe or result in any unjustifiable interference with navigation and other rights and freedoms of other States. In general terms, a continental shelf is the submerged border of a continent that slopes downward gradually and extends to a point of steeper descent to the ocean bottom. In legal terms, the continental shelf of a coastal State comprises the sea-bed and subsoil of the submarine areas that extend beyond its territorial sea, throughout the natural prolongation of its land territory, to the outer edge of the continental margin, or to a distance of 200 nautical miles from the baselines from which the breadth of the territorial sea is measured where the outer edge of the continental margin does not extend up to that distance. The continental margin comprises the submerged prolongation of the land mass of the coastal State, and consists of the sea-bed and subsoil of the shelf the slope and the rise. The outer limit of the continental shelf on continental ridges shall not exceed 350 nautical miles from the baselines from which the breadth of the territorial sea is measured. Claims must be lodged with the Commission on the Limits of the Continental Shelf by May 13, 2009. One aspect of sovereignty is the application of criminal law to events which take place. One example is the Escamilla case. Escamilla, a US national, was in a research party on Ice Island T-3 carrying out research for the Office of Naval Research under the University of Alaska. T-3 was a large fresh-water segment of a former glacier from Ellesmere Island that was some seven miles long. It was not claimed by the US and was 300 miles from Greenland and 200 miles from Canada, in the so-called Canadian sector. The party apparently got drunk on homemade raisin wine and in an ensuing dispute, a gun held by Escamilla went off and the party leader was killed. Escamilla was taken to mainland United States via the US base at Thule, Greenland, and was charged with involuntary manslaughter in the US. He was eventually acquitted, but the point in this case was that the District Court finding that jurisdiction existed was upheld on appeal. The prosecution argued that T3 was simply the high seas in frozen form, despite the obvious problem that the island was in fact formed from glacier ice, not sea ice. Canada sent a note to the Court reserving its position on jurisdiction, but did not object to the United States court treating drifting ice as a ship for the purpose of the proceedings. It is ironic that both climate change, and the oil and gas that has given rise to climate change, threaten to embroil the Arctic Ocean and bordering States in disputes over sovereignty, access to resources, navigation and the protection of the environment. The use of the Northwest Passage by tankers or other vessels may be facilitated by the melting of Arctic ice due to climate change, but other changes brought about by climate change, including icebergs, movement of ice and changed currents, mean that any such use will bring new risks to the Arctic environment. The 15 years which have elapsed since the Exxon Valdez oil spill may have dulled some memories of the effect of oil spills in northern latitudes, but the more recent Prestige oil spill in 2002 itself brought about moves by States to protect their coastlines from oil pollution, including moves to introduce prohibitions on single hulled oil tankers which international law had not to date sanctioned. Article 234 of the Law of the Sea Convention is restricted to laws enacted by coastal States and to the EEZ. It may well be that international interest in protecting the fragile Arctic marine environment from oil spills will require more than coastal state controls and include prohibitions on transport and mineral extraction, where necessary. Conflicting claims over the Lomonosov Ridge foreshadow an intention to develop oil and gas fields in the Arctic area by claimant States. Any such development would raise concerns over oil spills and other environmental effects from exploitation in an area already severely stressed from climate change. International action to protect the Arctic may be necessary if oil is not to be the nail in the coffin for the Arctic ecosystem, the way of life of Inuit, and very existence of polar bears, seals and other biodiversity of the Arctic. See BBC, Russia< plants flag under N Pole, 2 August 2007, at http://news.bbc.co.uk/2/hi/europe/6927395.stm. Canadian External Affairs Minister Peter MacKay said that “"There is no question over Canadian sovereignty in the Arctic. We've made that very clear. We established a long time ago that these are Canadian waters and this is Canadian property.” CBC, “Russia plants flag staking claim to Arctic region”, 2 August 2007, at http://www.cbc.ca/world/story/2007/08/02/russia-arctic.html. The Arctic Climate Impact Assessment was a project of the Arctic Council and the International Arctic Science Committee (IASC), at http://www.acia.uaf.edu/. Arctic Climate Change and Its Impacts (2004), Executive Summary and page 10. The reasons for increased rate of warming in the Arctic include the emergence of darker surfaces, absorbing heat, less fraction of energy from warming going to evaporation, the shallower layer of the atmosphere that is needed to warm, and increased transfer of heat to the atmosphere in the winter. Arctic Climate Change and Its Impacts, note 2 above, page 20. Arctic Climate Change and Its Impacts, note 2 above, page 25. Arctic Climate Change and Its Impacts, note 2 above, page 14. Arctic Climate Change and Its Impacts, note 2 above, page 11. Arctic Climate Change and Its Impacts, note 2 above, pages 84-85. See Trustees for Alaska, “Oil in America’s Arctic: Impacts of Oil Development on Alaska’s North Slope,” at http://www.trustees.org/FSOffshore.htm. Arctic Climate Change and Its Impacts, note 2 above, page 85. Some agreements relevant to the Arctic include an agreement on Polar Bears (Agreement on the Conservation of Polar Bears 1973, (Canada, Denmark, the USSR and the USA) 13 ILM (1974) 13, http://pbsg.npolar.no/ConvAgree/agreement.htm) and an agreement on Spitsbergen. (Svalbard Convention (USA, UK, Denmark, France, Italy, Japan, Norway, the Netherlands, Sweden), signed at Paris on 9 February 1920 recognizing Norwegian sovereignty under a special regime. Copy at http://odin.dep.no/jd/engelsk/publ/p10001858/012001-040007/ved001-bu.html). See also the Agreement on Arctic Co-operation, at note 47 below. See Gudmundur Alfredsson, Working Paper on Basic choices under International Law, at http://www.namminersorneq.gl/uk/uk_arbsgr4-3-01.htm#noter, drawing on “The Faroese People as a Subject of Public International Law”, I Faroese Law Review, (January 200), pp. 45-57. Island of Palmas arbitration (1928) 2 RIAA 829, 839. See discussion in Oppenheim’s International Law, (9th ed., 1997), ed. Sir Robert Jennings, Sir Arthur Watts, 692, para. 256. On the Arctic, see Pharand, The Law of the Sea of the Arctic (1973), Pharand and Legault, The Northwest Passage: Arctic Straits (1984). Studies have shown a mean reduction in arctic ice thickness of 42%, from 3.1 to 1.8m from the period 1958-1976 to 1993, 1996 and 1997. IPPC Third Assessment Report, “Climate Change 2001: The Scientific Basis,” 2.2.5.2 Sea-ice extent and thickness, at http://www.grida.no/climate/ipcc_tar/wg1/062.htm. See NOAA fact sheet at http://www.arctic.noaa.gov/faq.html. See page 2 - 3 above. See discussion of Canadian claims to the arctic in the Canadian Encyclopedia, “Arctic Sovereignty”, at http://www.thecanadianencyclopedia.com/index.cfm?PgNm=TCE&Params=J1SEC626050. Barbara Rhodes, “Who Owns the North Pole,” http://members.tripod.com/90north/northpole.htm. Brownlie, Principles of International Law (4th ed., 1990) 151. Norway stated in an Exchange of Notes in 1930recognizing Canadian sovereignty over the Sverdrup Islands that the recognition was “in no way based upon any sanction whatever of what is named the ‘sector principle’. TS No. 25 (1931), Cmd. 385, cited in Oppenheim, para. 256, note 3. Oppenheim’s International Law, para. 256, page 693. The Legal Status of Eastern Greenland (1933) PCIJ Ser. A/B No. 53, 22, 47, 50. See R. Y. Jennings, The Acquisition of Territory in International Law (1966), 4-6. Clipperton Island Case (1932) 2 UNRIAA 1105, (1932) 26 AJIL 390, where mere annexation was accepted as sufficient for French sovereignty Island of Palmas Arbitration (1928) 2 UNRIAA 829, and Minquiers and Ecrehos (1953) ICJ 47 at http://www.icj-cij.org/icjwww/idecisions/isummaries/ifuksummary531117.htm. The UK implicitly recognized France’s claim to Adelie Land based on discovery and annexation: D. P. O’Connell, 2 International Law (1965), 520. See World Book at http://www2.worldbook.com/wc/popup?path=features/explorers&page=html/saga_aa_polar_oepr.html&direct=yes. United Nations Convention on the Law of the Sea, Article 1. Signed at Montego Bay, Jamaica, 10 December 1982, entered into force 16 November 1994, UN Doc. A/CONF.62/122 (1982), 21 I.L.M. 1261 (1982) (Law of the Sea Convention), at http://www.un.org/Depts/los/convention_agreements/texts/unclos/closindx.htm. Norway ratified the Convention on 24 June 1996, Russia ratified the Convention on 12 March 1997, Canada ratified the Convention on 7 November 2003, and Denmark on 16 November 2004. The United States has not signed or ratified the Convention. Article 5. R. R. Churchill and A. Lowe, The Law of the Sea, (3rd ed., 1999), 106. See D. Pharand, Canada’s Arctic Waters in International Law (1988), 159 ff. Fisheries Case (United Kingdom v Norway)  ICJ rep. 116. Judgment is at http://www.oceanlaw.net/cases/fisheriesj.htm. Law of the Sea Convention, article 7(1). Huebert, 11, and Rob Huebert, “The Return of the Vikings: New Challenges for the Control of the Canadian North,” (2003), at http://www.naval.ca/article/Heubert/The_Return_of_the_Vikings.html. See “Martin gives pharmacare proposal cold shoulder,” Globe and Mail, August 12 2004, and debate last year in the Canadian 37th Parliament at http://www.parl.gc.ca/37/3/parlbus/chambus/house/debates/032_2004-03-30/ques032-E.htm. Rob Huebert, “Security in the Canadian North: Changing Concerns and Options,” at http://www.fraserinstitute.ca/admin/books/chapterfiles/May04ffHuebert.pdf. The United States reportedly offered four zones within the disputed waters for lease in August 2003, thus asserting sovereignty, 10-12. See Historical Naval Ships Visitors Guide at http://hnsa.org/ships/stroch.htm. The Manhattan was chartered by Humble Oil & Refining Company which later became Exxon and Atlantic and Richfield Company, which later become ARCO. See Ships of the World: Manhattan, at http://college.hmco.com/history/readerscomp/ships/html/sh_058700_manhattan.htm. See account by Larry Gedley and Merritt Helfferich, “Voyage of the Manhattan,” at http://www.gi.alaska.edu/ScienceForum/ASF6/639.html. Time, September 26, 1969, “the Manhattan’s Epic Voyage”, available at http://www.time.com/time/magazine/0,9263,7601690926,00.html. 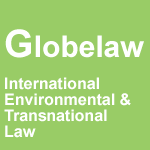 L. Henkin, “Arctic Anti-Pollution: Does Canada Make or Break International Law?” 65 AJIL (1971, 131, 135, and cf. J.A. Beesley, “Rights and Responsibilities of the Arctic Coastal States: The Canada View,” 3(1) Journal of Maritime Law and Commerce (1971), 11. See John C. Klotz, “Are Ocean Polluters Subject to Universal Jurisdiction -Canada Breaks the Ice”, 6 The International Lawyer, (October 1972) http://www.johnklotz.com/sea_art.htm. Law of the Sea Convention, article 234. See Johnston, Douglas M. “The Northwest Passage Revisited,” 33 Ocean Development and International Law 145-164 (2002), examining the case for a transit management regime for the Northwest Passage. See account in “On Columbus Day, the Polar Star sails east, to reach west”, October 11, 1988, at http://seattlepi.nwsource.com/antarctica/ship/article_881011columbus.shtml. Photos of HMS Superb, Billfish and Sea Devil at http://www.navsource.org/archives/08/0866403.jpg. Agreement on Arctic Co-operation, signed and in force January 11 1988, CTS 1988/29, at http://www.lexum.umontreal.ca/ca_us/en/cts.1988.29.en.html. Agreement on Arctic Co-operation, article 2. Law of the Sea Convention, article 37. Corfu Channel case (UK v Albania), ICJ Rep. 1, at http://www.icj-cij.org/icjwww/icases/icc/iccframe.htm. There were 2884 ships during one year and nine months: Corfu Channel, merits, 29. Corfu Channel case, merits, 28. Law of the Sea Convention, article 20. However, there is no such provision applicable to internal waters, since they are the subject of national laws. Churchill and Lowe, note 27, 91, giving the example of a Russian submarine running aground near a Swedish naval base in 1981 and citing other cases of submarines in Swedish and other territorial waters. See biography at http://www.allbiographies.com/biography-MikhailVasilyevichLomonosov-19421.html. Lomonosov was the first person to record the freezing of mercury. Russia has reportedly lodged a claim: see Geotimes, December 2004, “Vying for the North Pole,” at http://www.geotimes.org/dec04/NN_NorwayArctic.html. See Julian Conmand, “Denmark causes international chill by claiming North Pole,” 17 October 2004, at http://www.telegraph.co.uk/news/main.jhtml?xml=/news/2004/10/17/wpole17.xml&sSheet=/news/2004/10/17/ixworld.html, and Daniel Howeden and Ben Holst, “Race for the Arctic”, in The Independent, 5 January 2005, at http://www.truthout.org/docs_05/010605G.shtml. Quoted by Daniel Howeden and Ben Holst, “Race for the Arctic”, in The Independent, 5 January 2005, at http://www.truthout.org/docs_05/010605G.shtml. Law of the Sea Convention, article 77(1). Law of the Sea Convention, article 77(3). Sedentary species are organisms which, at the harvestable stage, either are immobile on or under the sea-bed or are unable to move except in constant physical contact with the sea-bed or the subsoil. Law of the Sea Convention, article 77(4). Law of the Sea Convention, article 78. Law of the Sea Convention, article 76(1). See also 1980 Statement of Understanding about article 76 (applicable e.g. to the southern part of the Bay of Bengal) in the Final Act of the Third United Nations Conference on the Law of the Sea, Statement of Understanding Concerning a Specific Method to be Used in Establishing the Outer Edge of the Continental Margin at http://www.un.org/Depts/los/clcs_new/documents/final_act_annex_two.htm. Law of the Sea Convention, article 76(2). Law of the Sea Convention, article 76(6). US v Escamilla 467 f.2d 341, and see E.M. Silverstein, “US Jurisdiction: Crimes Committed on Ice Islands,” 51 Boston L. Rev. (1971), 77, and D. Pharand, “The Legal Status of Ice Shelves and Ice Islands in the Arctic,” 10 Les Cahiers de Droit (1969) 463, D. Pharand, “State Jurisdiction over Ice Island T-3: the Escamilla Case,” 24 Arctic (1971) 83, L.W. Aubry, “Criminal Jurisdiction over Arctic Ice Islands: US v Escamilla, 4 UCLA Alaska Law Review (1978), 419, D. A. Cruickshank, “Arctic Ice and International Law: The Escamilla Case,” 10 W. Ont. L. Rev. (1971), 178, D. Wilkes, “Law for Special Environments: Ice Islands and Questions Raised by the T3 Case,” 16 (100) Polar Record (1972), 23, and T.W. Williams, “Legal Implications: Jurisdiction,” in G.S. Schatz, ed., Science Technology and Sovereignty in the Polar Regions (1974), 55. It was apparently last seen in 1983. See A Study of Mail from Ice Islands; featuring T-3, Fletcher's Ice Island, Drift Station Bravo, et al., at http://www.qsl.net/kg0yh/ice.htm. See picture at http://www.south-pole.com/aspp027.htm. 467 F. 2d 341, 342 (1972). The United States could have taken jurisdiction under international law on the nationality principle, as the accused was a US citizen, but the statute apparently did not allow this. See Emma Daly, ‘After Oil Spill, Spain and France Impose Strict Tanker Inspections’, New York. Times (27 November 2002), at A5, col. 3. Available at http://query.nytimes.com/gst/abstract.html?res=F30715F73D5C0C748EDDA80994DA404482.